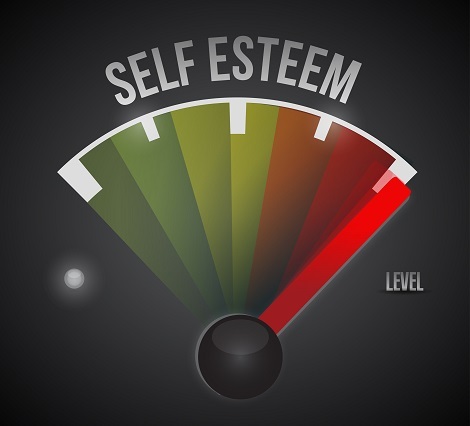 Over the past twenty years, I've found that helping people improve self esteem and build a positive self image is probably the single most important aspect of success of any kind. In earlier articles on self confidence hypnosis and the role of limiting beliefs in building positive self esteem, I discuss the three aspects of self image that are best addressed subconsciously when it comes to building confidence. In the early part of the twentieth century, Andrew Carnegie commissioned the creation of a work known as "The Law of Success." It is the fundamental publication connecting the power of positive thinking to health, longevity, and success. As one expert wrote, being "positive and motivated is the life blood of...success." Of course, as William Shakespeare once said: "Therein lies the rub". By that, the Bard meant that success comes to those with a positive mindset, but what if you have low self-esteem? How do you succeed at being your very best both physically and mentally if you cannot shake that persistent thought that you're not good enough, the same as others, and so on? Self confidence hypnosis is a powerful way to "reprogram" self image and limiting beliefs at deeper levels. But you need to realize that we are always programming our subconscious minds -- with self talk. To improve self esteem you also have to change the conversation going on in your head. How long will your deep subconscious mind programming last if you constantly contradict it with thoughts and self talk that says you are "not good enough," "not smart enough," "not attractive enough" or "not capable enough?" As I say in the Thin, Fit Fabulous You Platinum Weight Loss System: If you keep telling yourself you can’t lose weight or that you hate exercise or that you have fat genes -- or whatever -- you will be RIGHT. Your subconscious mind will help you MAKE it so. Remember that your subconscious mind has no critical thinking capacity. It accepts whatever you say – verbatim -- just like a young child. A friend once told me that she asked her young daughter to "Put Daddy's dinner plate where he sits." When they went to the table, the plate of food was on the father's CHAIR. That is how your brain takes instruction. There is no judgment, sense of humor, no understanding of the subtleties of language or wit. It literally takes you at your word. In my article on building a positive self image, you will discover the work of Dr. Emoto, who found in his well documented research that positive though can change the molecular structure of water -- which makes up about 60% of your body. To improve self esteem, start by watching your language and listening to your own self talk. If you don't begin to treat yourself with courtesy, compassion and kindness, how can you expect others to treat you well? If you want to be good at something -- anything -- it usually takes practice. The better you want to be, the more practice it takes. Many people who suffer from low self esteem forget the value of practice. Sometimes they make mistakes and have to do things over. Then, sadly, they confuse repetition with failure. How stupid is that? Use repetition and practice as a STRATEGY to get better at being the best version of you. Because, trust me on this, you will make mistakes. Lots of them. We all do. It's part of being human. How we view things is simply a matter of perspective. The truth is that ANYTHING that happens to you could end up being the best thing that ever happened to you. Most of the time, it is not so much about what you do, but your attitude -- that makes the difference. No matter what has occurred in your life and no matter how many "failures" you think you have encountered, you can improve your self esteem by harnessing the power of mind. If you feel down on yourself, you must reclaim your self-esteem. Start now because it is the key to your happiness and well-being. how do you use the power of mind to improve self esteem? What you focus on, you create. If you focus on your good qualities and stay centered in gratitude, you can't help but feel good. Put the power of mind to work for you-- both consciously and subconsciously -- and make life work for you. You deserve it!